Welcome to another weekly round-up of the webs Remote viewing, psychic, esp news and weirdness. This week TED still simmers, please add your name to the petition below, read about the debate in the latest news and just join-in – add your view. 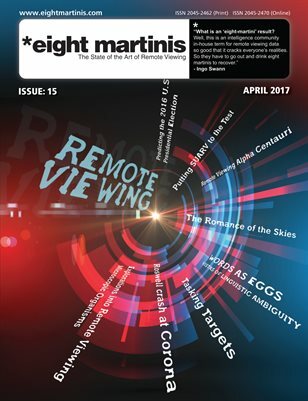 Also read Greg Kolodziejzyk’s 13-year Associative Remote Viewing Experiment Results paper – fantastic results and great dedication and research. Remote Viewing: Major Ed Dame’s North Korean predictions before the ‘Kill Shot’! Petition – Stop the censoring of the Rupert Sheldrake TEDx Talks video. Daz – Just 268 more signatures needed – please sign and share. Its our community and sometimes we need to stand together and make a stand – do it now! Courtney Brown FREE SRV adavcned techniques training course.